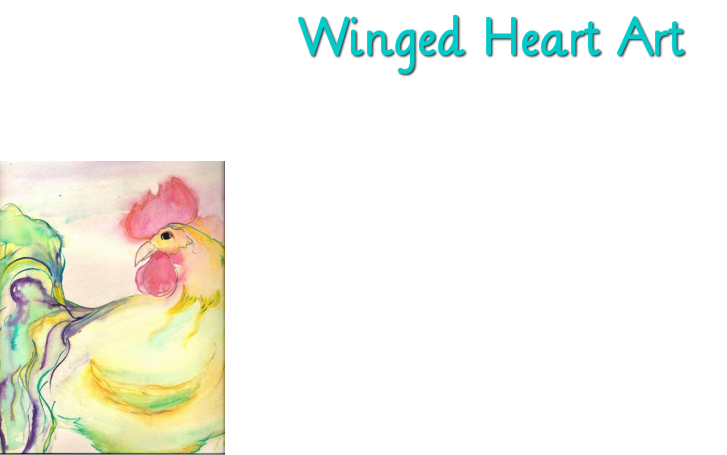 Welcome to Winged Heart Art!! This is a very special store that carries handmade items, repurposed or up-cycled items and clothing, artwork, home decor, hand made roses and other beautiful fabric flowers and more, all made by Quinn. Each item is unique and one of a kind. Nothing is mass produced. Nothing made from kits or pre-designed items. Quinn is an artist and mom in Texas. Crafting and art have always been a part of her life, but painting on canvas and realizing that Art truly was her passion didn't come to realization until 2001, after a serious car accident. Most of the items that Quinn creates, come from wanting something for herself or her home, and either not being able to find what she wants in stores or finding that what she is looking for hasn't been created yet! Quinn loves Roses and Hearts, and the love for both is reflected in her artwork, the tops she sews, the flowers she makes, her style of decorating and in almost everything she creates. She has named her personal style, "Romantic Beach." Her watercolor paintings communicate this style with bright pastels and flowing lines. It can be seen as well in the clothing she designs, in the romantic cotton prints, in the hint of ruffles, in her home designs and decor as well. Whether you find a vintage salt shaker tassel that would look beautiful hanging on the knob of an antique dresser, a pillow with layered ruffles to place on a comfy chair, a romantic strapless top for a friend's birthday, or a one of a kind hand painted item for an empty wall, please know that all of the items created by Quinn are made with love and careful consideration of color combinations and unique design. If you are interested in speaking with Quinn about commissioning a painting for your home or a loved one, or you are getting married and would love to wear a beautiful custom hand painted pair of "bride boots" on your wedding day, or for your bridesmaids or to commemorate an accomplishment or moment in your life, or you would like another custom item...she would love to work with you! All inquiries for custom items are welcome. Thank you for looking around and we hope to see you again soon.